Since 2006, ADAMH has funded many grass roots organizations, including the Urban Minority Alcoholism and Drug Abuse Outreach Program of Franklin County (UMADAOPFC), through a community mini-grant program. Through the program, ADAMH has been able to provide support and funding for numerous community events that increase awareness about mental health and substance abuse issues in our community. UMADAOP’s Franklin County Urban Coalition and Dope Without It programs are just two of the many great programs that support a drug-free and healthy lifestyle and improve the lives of youth in our community. The ADAMH levy makes these mini-grants possible. 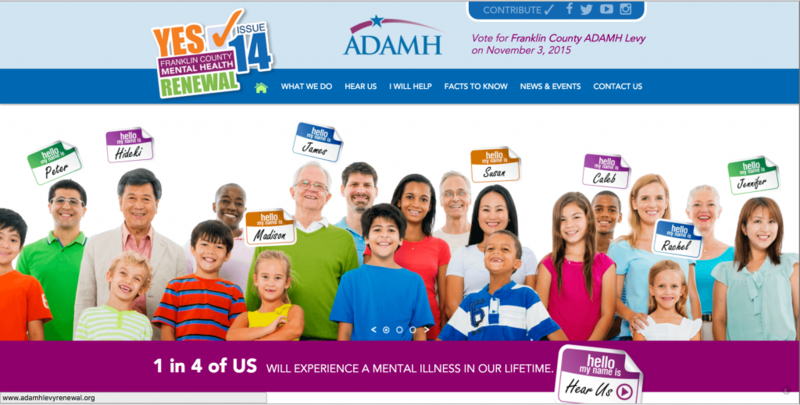 On November 3, the ADAMH Renewal Levy will be on the ballot and we need your help. November 3 is the time to vote YES on Issue 14 and help continue to help individuals on their journeys of recovery. The 5-year, 2.2 mill renewal levy is simply renewing an existing levy that was overwhelming supported by the community in 2005. The yearly $67 per $100,000 in home value will not change. By voting for the levy, ADAMH can continue to provide treatment, prevention and supportive services and support programs like the Franklin County Urban Coalition and Dope Without It. ADAMH knows the importance of the community mini-grant program and is proud to fund organizations like UMADAOPFC. To ensure these programs continue, please join in working to pass and vote for Issue 14.
how we can better work together to ensure their success. Location- Dublin Springs Treatment facility which is just west of Dublin Memorial Hospital. Access off Avery Road just north of Route 33. Jim Ryan is presenting the first in a series of five trainings that will cover both foundations and all domains in the prevention field. 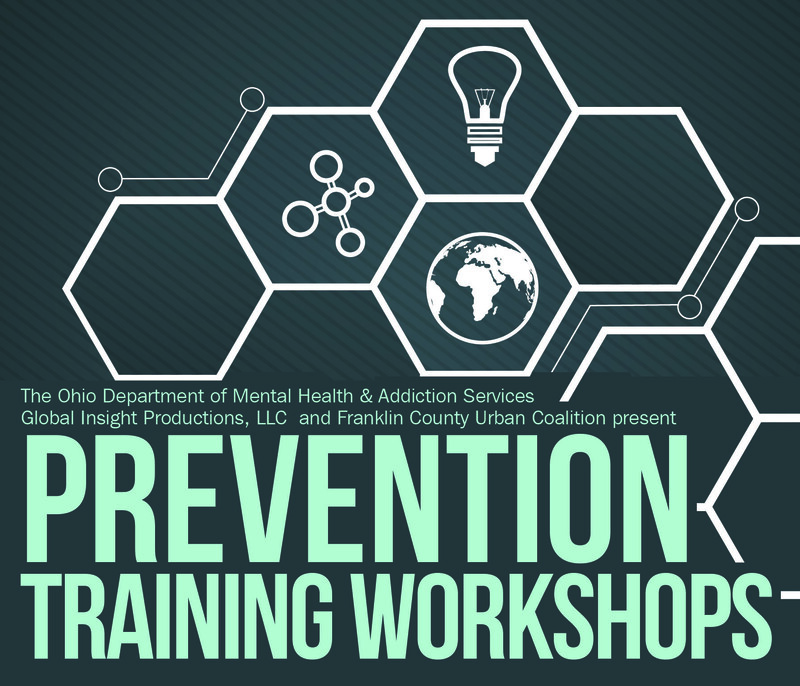 Great overall trainings and info along with preparing people to take the Ohio Prevention credential exam. 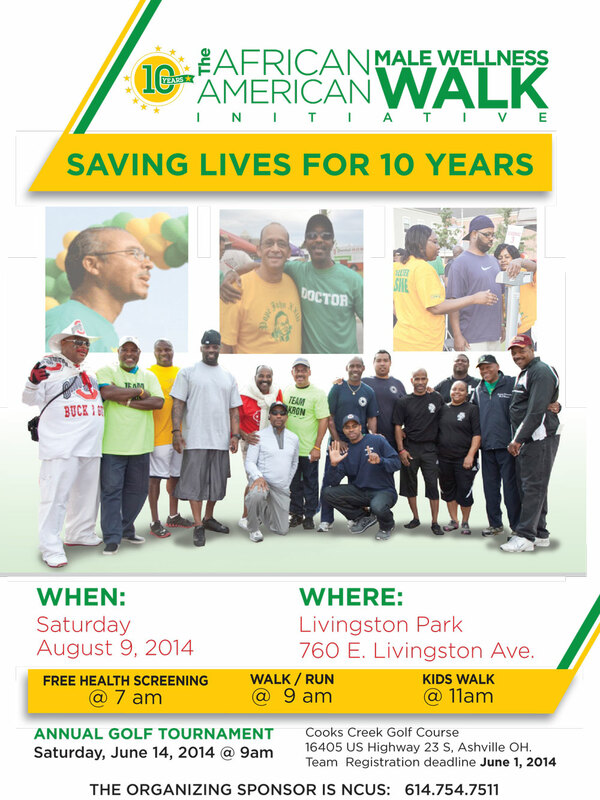 click flyer for the larger view. 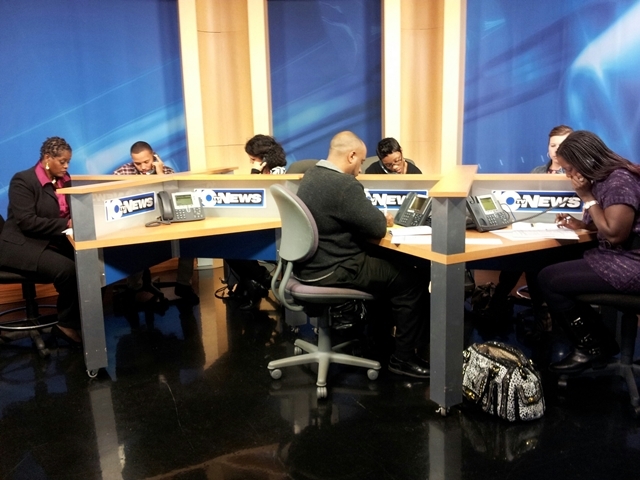 Experts from the ADAMH System of Care answered viewers’ calls during the evening newscast on Thursday, November 14. 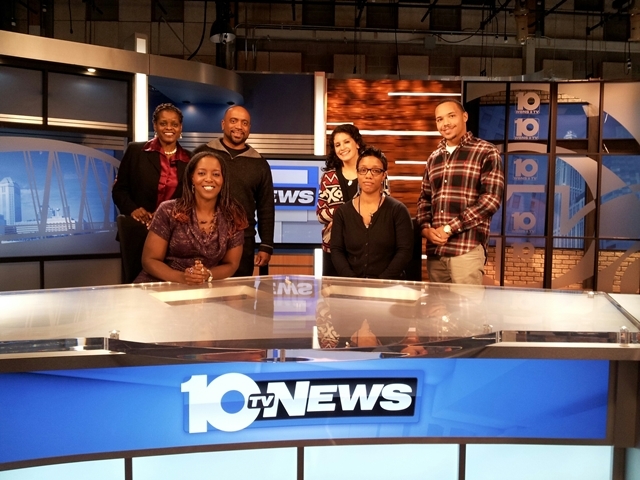 All week 10TV featured stories about issues teens and their parents face. The topic on Thursday evening was drugs. 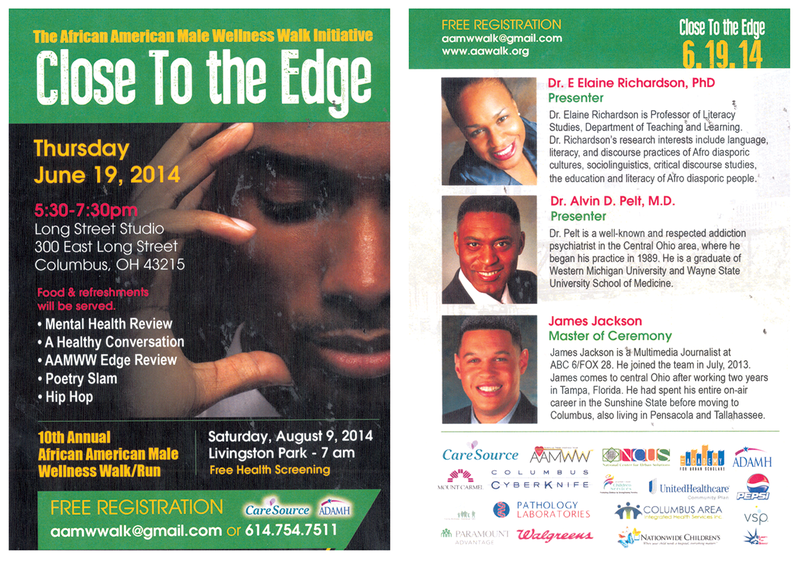 The experts were from Columbus Area Integrated Health Services Inc.; Columbus Public Health, Maryhaven and UMADAOP. 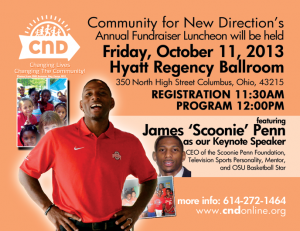 Thursday October 10th from 5:30-8:30 p.m.
23th annual UMADAOP’s of Ohio conference held in Columbus Ohio at the Embassy Suites Airport on August 28th_29th, 2012. The goal of our conference is to provide culturally specific treatment, prevention, and reentry training for those working with African American and Latino communities. We strive to make Ohio’s workforce more culturally competent, increasing their ability to provide higher quality social services for African American and Latino communities. In turn, it is our aim to strengthen community-based services assisting communities in becoming stronger and healthier. The Arena District: North Bank Park, Mc Ferson Commons, and Spring & Long Streets in downtown Columbus, Ohio. 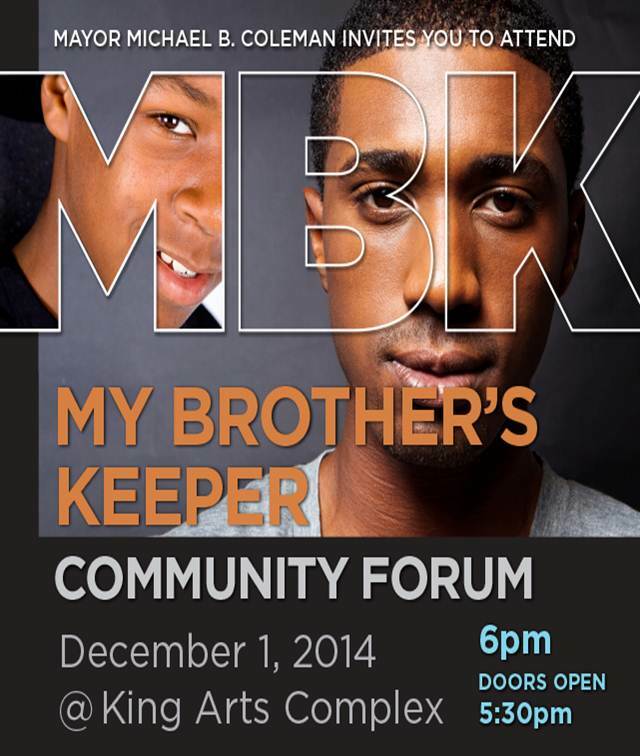 Click here for more details on the location. 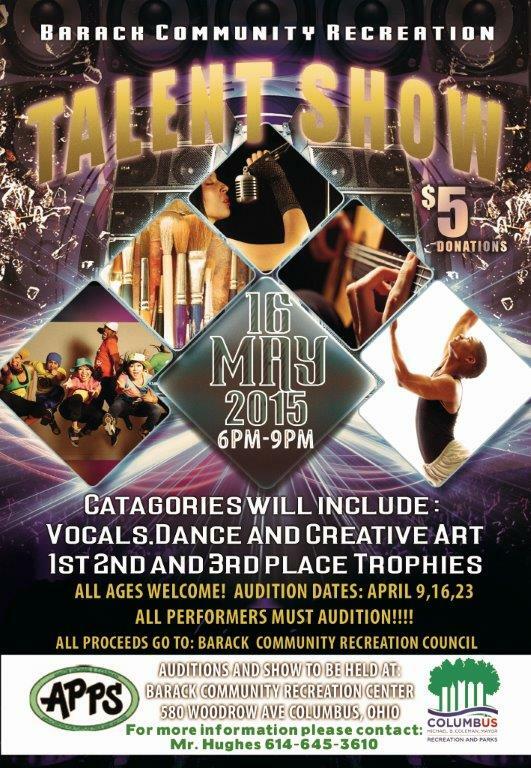 The 22nd Annual Juneteenth Ohio festival has something for everybody! Bring a loved one to the health and book fair, featuring local and national authors, or visit the Soul Food and Children’s Pavilion, register for the City-Wide Talent Show, or just come out and enjoy jazz in the park Friday,Gospel Saturday, and Old School Sunday. 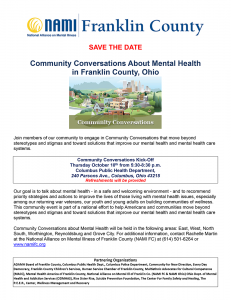 Join The Franklin County Urban Coalition (FCUC) in gathering real data from real people that live in these target communities every day. If you or someone you know lives in one of THESE Columbus communities (43204, 43205, 43206, 43211, & 43223) or in a minority community within the Columbus Metropolitan area, encourage them to fill out the FCUC Survey to find out more about the people who live in these communities and to learn about how drugs and alcohol affect their daily lives. The survey is just the start and to give you extra incentive to help FCUC gather this vital information, they are giving away daily, weekly, and monthly prizes including iTunes gift cards, iPod Nanos, and an iPad 3! So there is no excuse to log on and help change the so-called ‘norms’ in our communities. 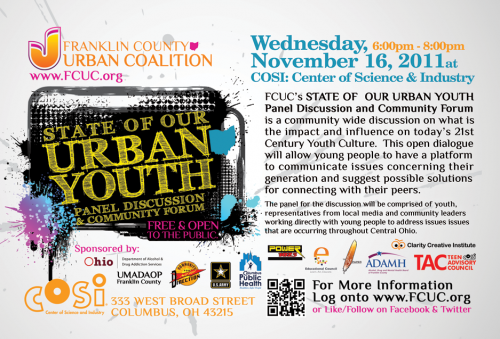 Franklin County Urban Coalition Presents State of Our Urban Youth Panel Discussion and Community Forum is a community wide discussion on what is the impact and influence on today's 21st Century Youth and Young Adult Culture. This open dialogue will allow young people to have a platform to communicate issues concerning their generation and suggest possible solutions for connecting with their peers. 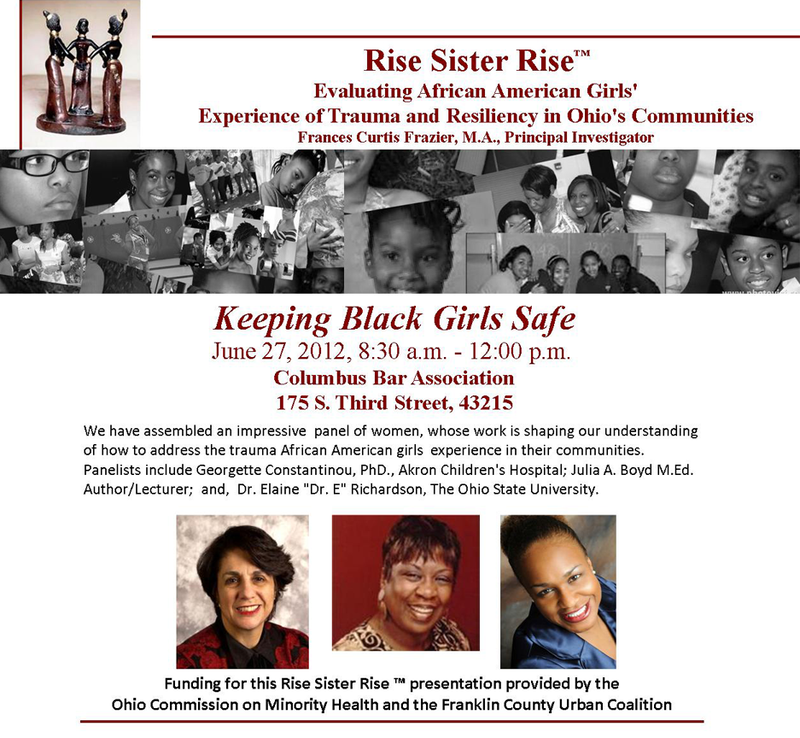 The Panel for the discussion will be comprised of young adults, representatives from local media and community leaders working directly with young people to address issues that are occurring throughout Central Ohio. become a fan of the Franklin County Urban Coalition Facebook Fan Page!